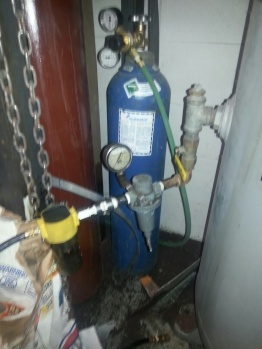 This compressor is an industrial grade machine to be treated with some degree of respect. 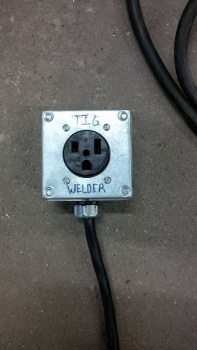 This 5HP compressor is electrically driven by 208V single phase available through the same pigtail that powers the TIG welder. This compressor is capable of substantially higher pressure than most air tools can tolerate, which is why its discharge pressure is regulated to 100 psi. Do not adjust this regulator without consulting with Kyle. Doing so may damage your equipment or hurt you seriously. 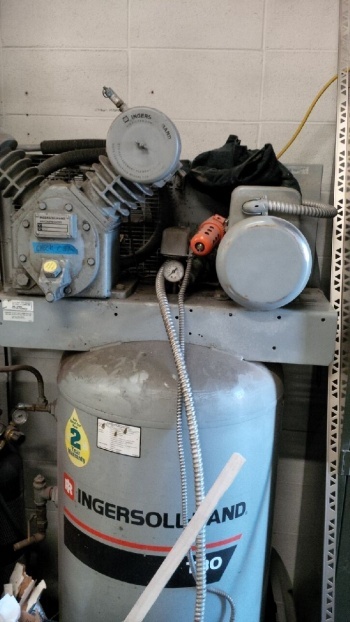 ONLY Ingersoll-Rand All season oil is currently approved for use in this compressor. 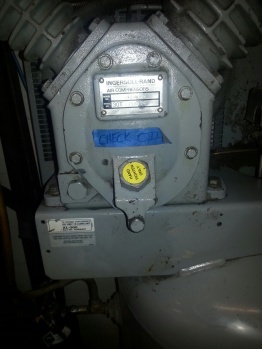 You must check for the presence of oil in the compressor pan before operating this machine. This page was last modified on 23 April 2019, at 22:16.